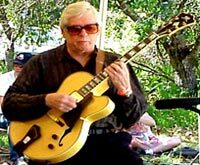 Born into a musical family in Laurel, Mississippi, Mundell Lowe was first taught guitar by his father. 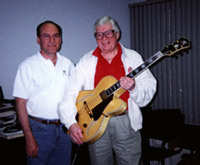 Lowe quickly became a student of the Charlie Christian school of jazz guitar. 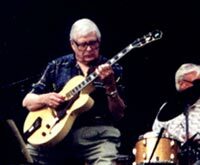 At a young age he began working as a country player in Nashville before eventually settling in New Orleans in the late thirties playing traditional jazz. After World War II, he worked in a variety of Swing bands including groups led by Ray McKinley, Mary Lou Williams, and Ellis Larkins. Upon Settling in New York, Lowe worked with a wide variety of jazz notables including Billie Holiday, Lester Young, Charlie Parker, Helen Humes, and Charlie Mingus. 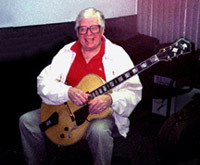 It was during this time that Lowe became a guitarist and staff arranger for NBC studios. His stint at NBC lasted throughout the fifties and into the sixties until 1965 when he moved to California where he continued his work as a talented and much-in-demand composer and arranger for television and film. 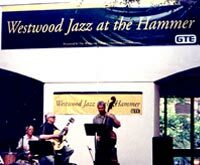 From 1981 through 1986, he served as musical director for the Montery Jazz Festival. Since that time Mundell has devoted more time playing, recording, and touring. Along with his work in Andre Previn's trio he has made recordings with Kiri Te Kanawa. Tete Montoliu. 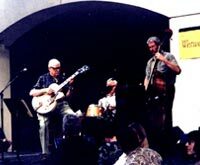 and a 1992 quartet recording The Jazz Alliance label titled Souvenirs. See Mundell in action locally or on tour with "The Great Guitars" group.